The tough, stylish Sennheiser PMX 80 Sport Headphones have been designed and tailored towards use at the gym. 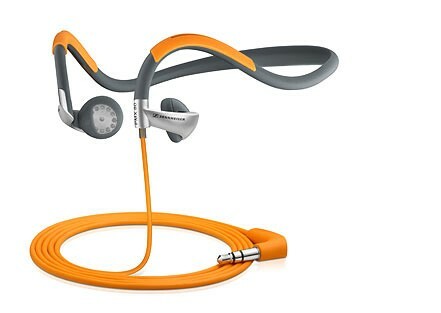 The rugged headphones are sweat and water resist and feature a robust, ergonomic neckband. The package includes ear buds in three different sizes so you can be sure to achieve a perfect fit, you won't have to worry about the headphones coming loose during your workout, they feel comfortable and secure to wear and are designed to keep up with the toughest workouts. Powerful neodymium magnets ensure well balanced, detailed audio is reproduced and high performance sound is delivered.